Cape Cod home improvement contractors, Northside Home Improvement, has been in business since 1980. We’ve steadily grown in the size and complexity of the projects we undertake from refinishing and small home improvement projects like kitchens and bathrooms to building complete custom homes from the ground up. Working closely with local architects and sub contractors with whom we have long term relationships we can provide a complete service. From simple Cape Cod cottages, to homes where the space is measured in many thousands of square feet, Northside Home Improvements has the experience to put your project together and deliver high quality results on time and in budget. We are fully licensed and insured, and follow closely all the local, state and national building codes to meet and where prudent, exceed the requirements for safety and energy efficiency. Our Cape Cod home improvement contractors choose the materials, equipment and construction practices needed to satisfy the inspection requirements at every stage. Rob Warren, the owner of the company has been working in the home construction industry for 35 years. 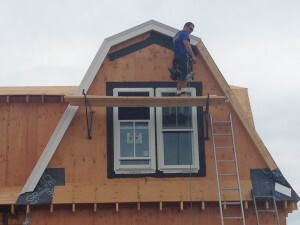 Initially working as a subcontractor for larger companies doing all kinds of carpentry, Rob expanded into taking on smaller jobs for home owners, like roofing, siding and window replacement. Through contacts made, and with a growing experience and enthusiasm for doing excellent work he began to bid on some larger jobs. These days Northside Home Improvement has an order book full with jobs scheduled for several months in advance. Their work still includes smaller jobs like decks and roofing and siding as well as complete custom home constuction. Every job is treated with the care and attention it deserves no matter the scale, and you can be sure that every detail is taken care of, including always leaving the job site clean and tidy at the end of every day.